The internet’s reaction, and subsequent demand, for the Arduboy was so fervent that Kevin actually quit his job, moved to China, and spent the past year refining and perfecting the Arduboy’s design to the consumer-friendly version you see below. The exposed circuits of the original are still visible, but they’re now protected behind a polycarbonate front shell, while a metal plate on the back adds sturdiness to the Arduboy’s sleek new design. At five millimeters thick it’s a little larger than the original, but it’s still incredibly pocket-friendly, and far more durable as a result. In addition to a much larger OLED display than the original, the new Arduboy also has six soft-touch tactile buttons, a rechargeable battery good for about eight hours of gameplay, microUSB connectivity, and a two-channel piezo speaker. You won’t be using it to play graphic intensive games like the 3DS can handle, but the real appeal of the Arduboy is being able to sneak classic 8-bit games like Block Breaker wherever you go. 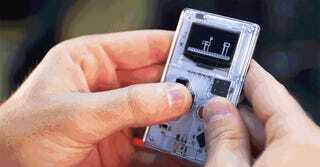 The new Arduboy is also completely open source. So you can create or port your favorite games to it, share and edit other people’s creations, or just use it as a tiny interactive console to finally learn how to code with languages like C++ using included tutorials. 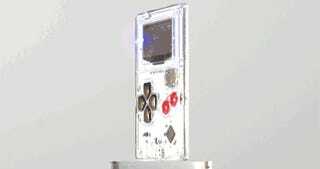 At this point if you haven’t found a good reason to justify pre-ordering an Arduboy yet, maybe the price will help sway your decision.